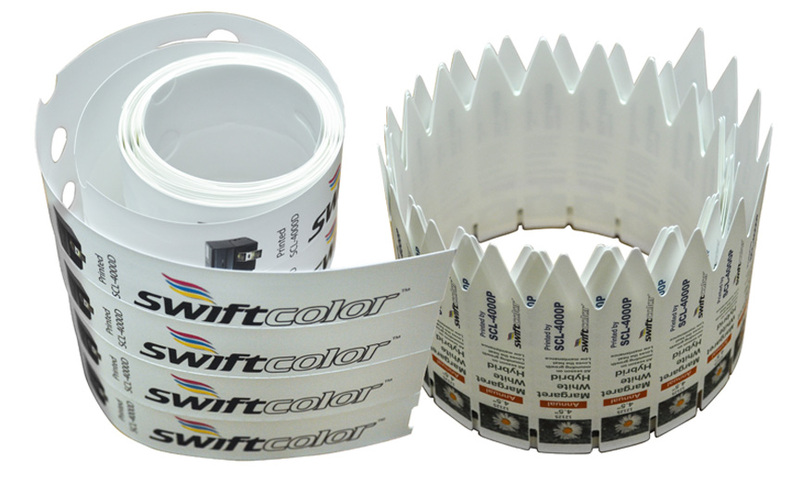 The SwiftColor SCL4000D/P lets you produce on-demand, full color, high quality, durable plant tags. These plant tags are weather-resistant and extremely durable. 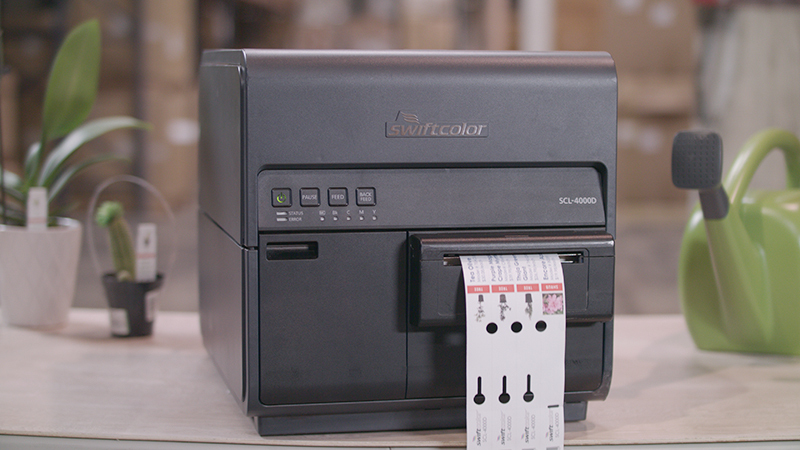 The SwiftColor SCL4000D/P high quality full color 1200 dpi printer meets your most horticultural label urgent needs. 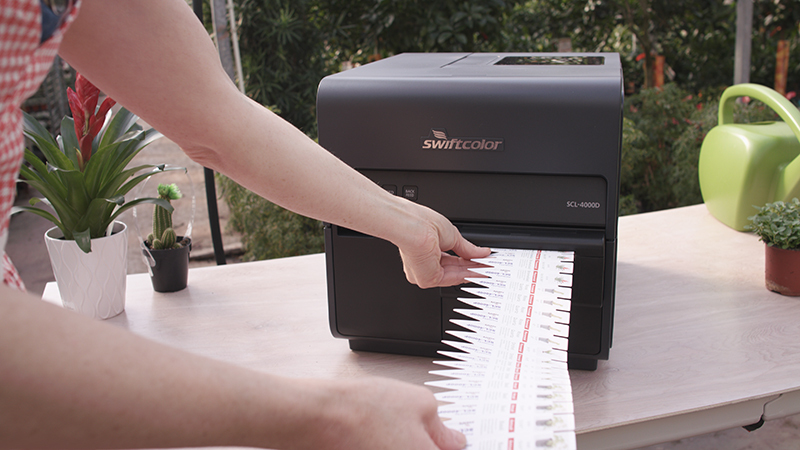 On-demand printing means instant labels. No more ordering and waiting for pre-printed labels, No need to stock and store pre-printed labels that may need additional printing and barcoding. 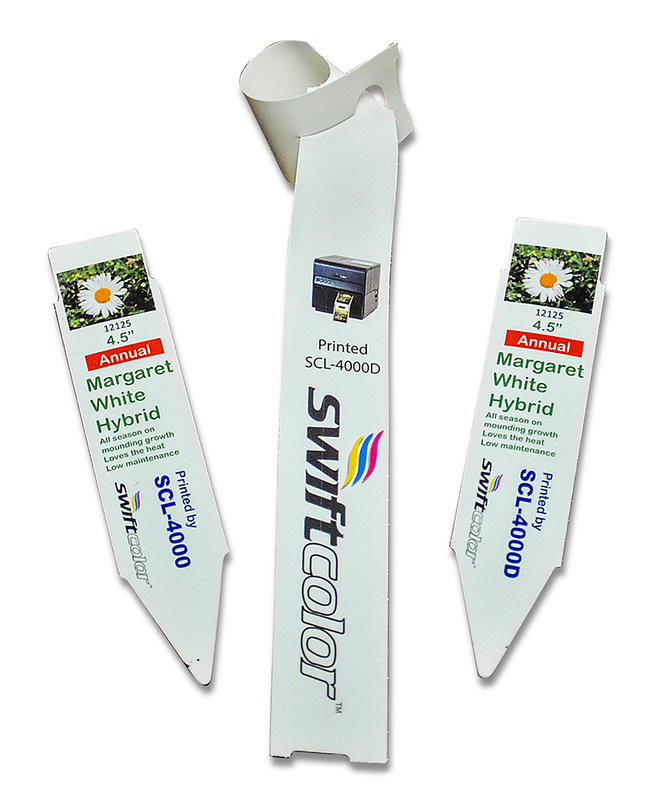 Just design the label on your PC and print to the SwiftColor SCL4000D/P with horticultural label media. No need to maintain a variety of preprinted stock. Only SwiftColor can handle think media up to 19mil. Colors won’t fade due to sun exposure. Wide selection of blank media options available.